Week 61 – Where Did All The Sherry Drinkers Go? There’s a line you hear quite a bit in wine marketing circles about Sherry’s big mistake. It let its drinkers die on them without replacing them. In the 1950s through to the 1980s it was one of the most popular drinks in the UK, and the UK has always been one of Sherry’s primary export markets. Now it’s struggling, so what happened? My generation (I’m sticking myself in the 21-40 bracket here!) see Sherry as that sweet stuff your grandparents used to drink at Christmas time. It has that older generation vibe about it. It fits the idea of middle class drinkers in the 1950s and 1960s rather than anything else. But it only became that way because of us Brits. 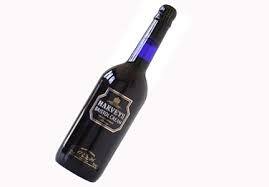 Cream Sherry (the dark artificially sweetened stuff) was the invention of Harvey’s of Bristol in the 1880s. Pale Cream was invented by Croft’s in the 1970s. They wanted something for the British sweet tooth, and so we (and the rest of the world) lapped it up. Original sherries have been going for hundreds of years, and in it’s most pure form is very dry, with low acidity, and a perfect wine to go with food. The style range is all about the flavours and the body more than the sweetness. That’s what the producers of Sherry are rightly trying to resell to the world, and so that’s what we’re going to explore this week. Finding Sherry a little too sweet, now. get yourself a fino, you’ll love it! wo wo wo, not knocking it, just saying there’s more to sherry, that’s all!! Got me tempted to throw in a sherry this week! So much Sherry love in the wine community. Absolutely loving it! As ever Nicole, it’s my absolute pleasure! My nan was one of those “cream sherry” drinkers, and that was my first experience of sherry! It didn’t put me off though and now there is always a Fino or Manzanilla in our fridge. Thanks for linking up on #WINENOT Linky Party this week!